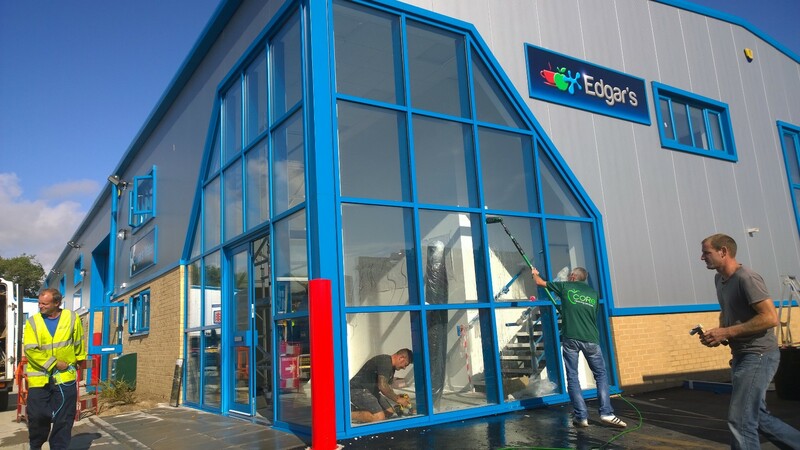 We provide an outstanding commercial window cleaning service throughout East & West Sussex and beyond. We use lightweight Reach and Wash, Tucker Poles and Omnipoles to wash windows up to 72 feet high. We find that using this technology allows us to be quicker, more responsive, less intrusive and safer than using cherry pickers, harnesses or cradles for windows up to this height (equivalent to the 8th floor). For buildings higher than that we do have a number of different solutions as all of our window cleaners are qualified and trained in various traditional methods. We are fully ManSafe and IPAF accredited and each of our team hold SiteSafe certifications. 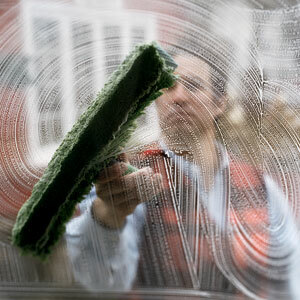 Keeping your windows sparkling is more than just a routine requirement. Clean windows and cladding look great, and make a fantastic first impression on your staff and visitors. Arriving to work each morning to a building that looks sparkling and well maintained sets people up for the day and if, upon entering, they find that the interior is as spick and span as the exterior, people feel more enthused and ready to do business. Working from the ground is quicker and much easier with less specialist equipment, so it works out cheaper for you without compromising the quality of service you receive. With the variety of equipment we use, it is easy for us to clean high and inaccessible places, glass roofs, facades and cladding. Because window cleaning is a specialist skill, we have a team of trained and qualified specialists. We try to use our extendable poles wherever possible, however, when it’s not possible or practical to deploy them, we rely on the more traditional methods which may well include harnessed operatives, ladders and cradles. As well as using our state of the art equipment to wash windows, it also allows us to clear moss and other plant growth from roof tiles and prevent gutters from becoming blocked. The technology we use is self contained, meaning that when we pull up in our van we are ready to work almost immediately and once we are done we can pack up and leave without needing to come into your premises, making our service incredibly convenient for our clients. The products we use clean glass incredibly effectively and dry smear and spot free. That means there is no need to squeegee them dry, halving the time we need to be on site, and since time is money, that again reduces the cost that we have to pass on to you.